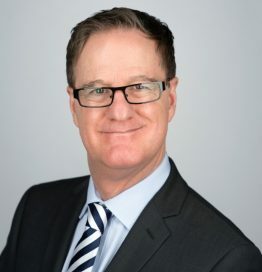 Rob Davidson is the Managing Director of MICE Knowledge, a consultancy specialising in research, education and training services for the meetings and events industry. His main areas of expertise are conferences and incentive travel, and he has written seven books on these themes, including his latest publication, Marketing Destinations and Venues for Conferences. He also regularly writes articles for the professional meetings industry press, including Conference News. He has carried out research projects for a number of major organisations including the Poland Convention Bureau, the Ireland National Tourism Development Authority, and the Society for Incentive Travel Excellence. Since 2002, Rob has been employed on a consultancy basis as Industry Analyst by Reed Travel Exhibitions, for whom he carries out ongoing research into business events developments in Europe, The Middle East and China. At ibtm world in Barcelona each year, he launches his annual Trends Watch report on trends in the global meetings and events industry. He is regularly invited to speak at international conferences on themes linked to business events, in particular to present the results of his ongoing research into conference industry trends. Rob also teaches as a Visiting Professor in five European universities, where he educates and inspires students of conference management every year. In 2015, he was awarded a Doctorate from the University of Greenwich for his thesis, entitled ‘Technological and Demographic Factors as Agents of Change in the Development of Business Events’. In 2016, he won the Best Conference Speaker award at the Global Event Awards.